Furnishing your new study or home office can be an expensive job: from the shelving to the storage units and your desk accessories, the costs quickly add up. This is when creativity and resourcefulness come in handy, as repurposing materials you already have around the home to act as home office storage lets you stick to a budget while achieving a rustic, homely aesthetic. Wooden crates or cases are something you can pick up for very little cost from garage sales or suppliers of new wooden cases, or may already have to lie around the home. By repurposing the humble wooden case, you can create unique storage units, shelves, and even décor items, while keeping costs low. Not only are wooden crates functional and cheap, but they also enhance the look of your home. Here are some of our favorite ideas for transforming wooden cases into practical décor and storage items. Wooden cases can make for a stunning statement bookshelf, that you can also use to store knick-knacks or office supplies. Simply stack the crates in a way that you like, whether that’s at different orientations or all stacked up on top of each other. If you’re feeling especially creative, you can add lighting like the example above. For the less tech-savvy, try fairy lights or candles to make spending time in your home office during the evenings more pleasant. This project requires more than just wooden cases, as you’ll need a large wooden board to be the surface of your desk. However, with a simple trip to a homewares store, or even a garage sale, you can find all the required materials. Create a sturdy desk by using the wooden cases as the legs of your desk, eliminating the need for spending hundreds on a desk from a furniture store. This desk, although rustic, can also be integrated beautifully into a modern study room. This is perhaps the easiest DIY on the list – simply place a small wooden case on your desk to store your stationery and other office supplies. 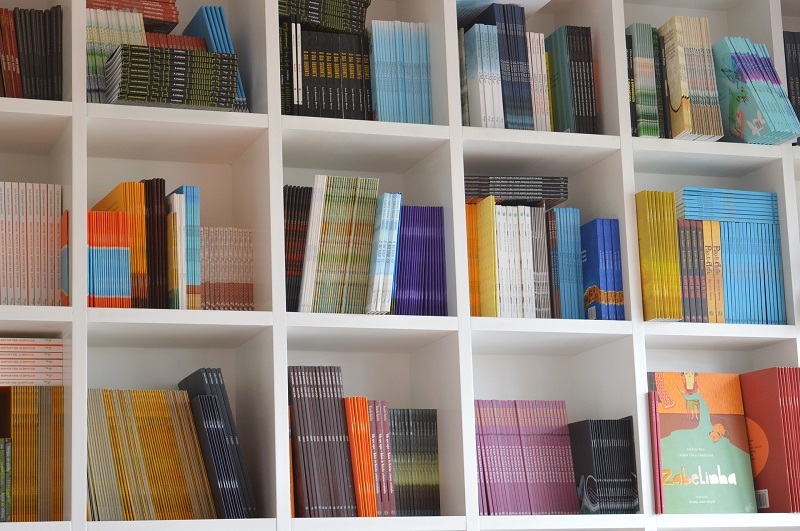 If you want to be especially organized, use kitchen dividers or pen holders to create different sections for your pens and pencils, calculators, staplers and the rest. For anything you want to keep out of sight, a hidden rolling storage crate makes for the perfect solution. By attaching wheels to a crate, you can easily tuck belongings under your bed, allowing for easy access but not cluttering up your space. Electronics, your kids’ toys or any other items that don’t flow with the look of your home office can be stored discreetly thanks to this clever DIY, which can be completed in just a few hours. A convenient side table is essential for almost every room in the house, including your study or home office. This easy DIY only requires legs to be added, for a cute and compact side table that you can use to keep items that you need easy access to. This DIY requires practically no effort. Simply place your crate in the position you’d like (horizontal or vertical), and use it to store books or magazines. If you place the crate vertically, you can use the top surface to store other things, such as flowers, stationery or candles. Your home office doesn’t necessarily have to be a dreary place. 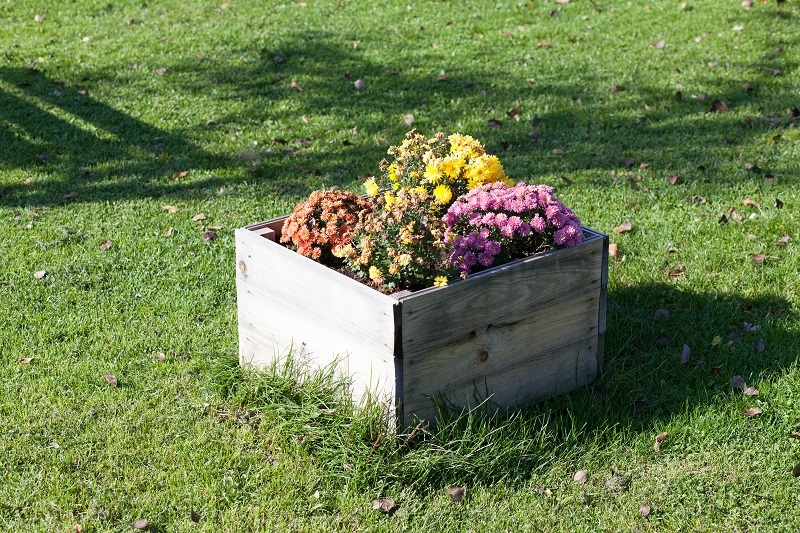 Wooden crates can be used to create gorgeous planters, where you can plant your favorite flowers. These planters will look great on your desk or window ledge and will study. Furnishing your home office or study can quickly become an expensive job, but by repurposing wooden crates, you can easily create appealing and functional furniture and storage pieces that are unique to you!